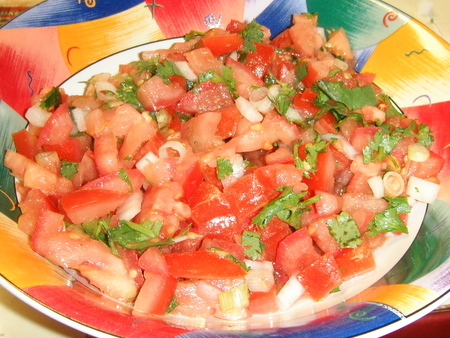 Here is a simple and refreshing tomato salad. It's often served as an accompaniment to feijoada and it serves to counterbalance its richness. Mix the tomatoes with the onions and parsley. Make a vinaigrette with the olive oil and vinegar and add to the tomatoes. Season with salt and pepper.